Erin Wilson has built a habit of giving freely. Jeff met her online (but never in person) when she quickly responded to a blog post he wrote, requesting help for a woman with cancer who was about to be evicted. Erin gave $100 to help her out, and this simple act of generosity led to a whole series of interesting events. She and Jeff talk about how getting wrecked on the other side of the world can lead to life change in your own back yard. Shauna Niequist is a mother and writer from Chicago. 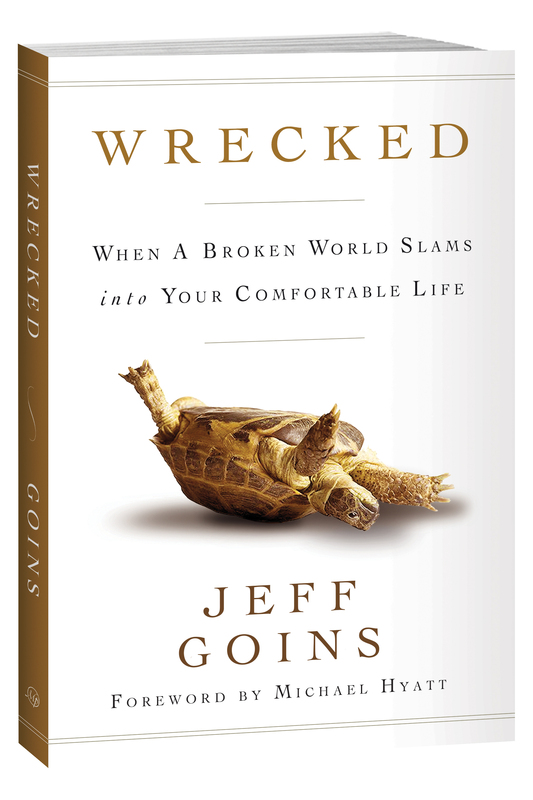 Her book Bittersweet resonated with Jeff so much that he included a passage of it in his own book, Wrecked. Together, these two talk about what it means to grow up and intentionally choose habits that make us into who we’re suppose to be. Jeff met Matt Snyder at a training camp for missionaries. The two connected when they discovered they were both writers. Matt then went on a radical adventure call The World Race that took him to 11 countries in 11 months. After that adventure, Jeff and Matt started working together on various writing projects and have been friends, colleagues, and peers ever since. In this episode, you’ll hear about the challenge Jeff issued Matt — one he didn’t want to hear, but needed. Matthew Paul Turner is a full-time writer and author who also works with World Vision. He travels the world, facilitating trips for bloggers to help others learn about the work World Vision is doing in the developing world. In this episode of the Wrecked Sessions, Jeff and Matthew talk about why being numb to experiences can sometimes be a good thing in a broken world. Stephen Proctor exemplifies someone who’s been wrecked. As someone who had a paradigm-shifting experience, he’s now returned to a seemingly ordinary life and has to figure out how to process what’s happened to him. In this episode, we’re going to talk about how you get wrecked, what to do with your extraordinary experiences once they end, and how to structure your life in such a way that you continue to live out of a place of faith and risk. I held my breath. I could hear my brother scream. Was I next?